Former NSA and Cyber Command Chief Adm. Mike Rogers. 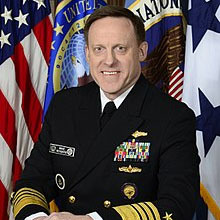 Adm. Mike Rogers, the former director of the National Security Agency and the former head of U.S. Cyber Command, has joined the board of advisers of the cybersecurity think tank Team8. Rogers served as both NSA director and U.S. Cyber Command commander between 2014 and 2018. As a senior adviser, Rogers will capitalize on his unique grasp of technology trends, the cyber threat landscape and the evolving tactics and tools used by cyber attackers to provide invaluable insight to both Team8’s existing portfolio companies and those currently in development, the company said. The company opened its New York headquarters in September 2017. The company said Rogers will be instrumental in the company’s U.S. expansion. Team8 was founded by former leaders of Israel’s military intelligence unit 8200.